With a large variety of plants in stock and the resources of several local nurseries, Robin Hollow Farm can help you bring it to your next event. If your look is modern or tropical, rustic or formal, we can provide the plants to enhance the event. Plants are designed specifically for each event, and are only offered as an add-on for our floral clients. Prices will be quoted depending on the materials planned for the installation. Plant rental packages start at $300 for simple plant add ons for a wedding and go up from there. Please contact us for more details. Tropical Rentals are a great way to echo the Coastal life. We offer many varieties & sizes of palms, grasses, & other tropical plants. Big foliage is a great way to to help fill a room and add a big look for your event. Renting Ferns of all shapes and sizes can really add a softness to the hard edges of staging, tent stakes, pipe & drape, & food & beverage tables. 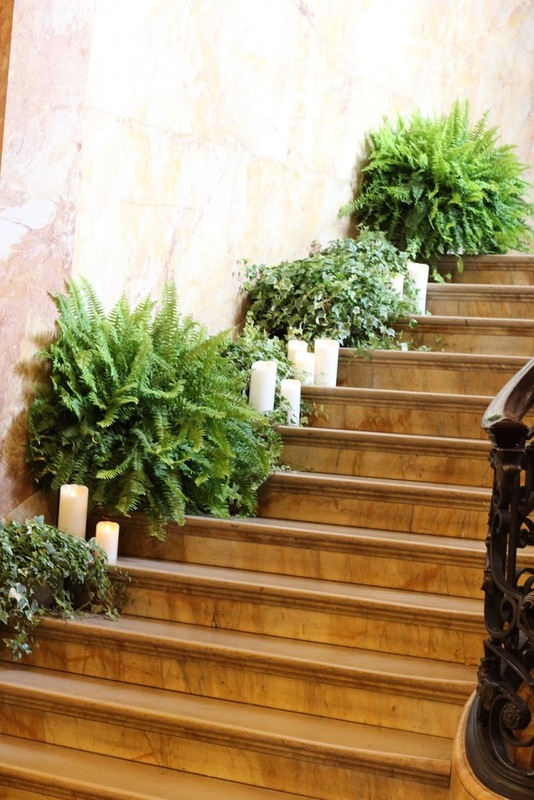 We have a variety of ivies and ferns on hand to help bring a natural feel you your event. Whether you are looking for a formal feel with boxwoods and topiaries or a bigger look with trees, evergreen or flowering, trees can fill a space or tent like no other.